/ How To Replace Brake Pads And Rotors? How To Replace Brake Pads And Rotors? If your car produces a squeaking or grinding sound when you apply the brakes, it is warning you to replace it lest something serious happens. When it produces a chirping sound without application of brake, it is a symptom of low fluid oil. This indicates replacement of brake pads because the fluid does the work of replacing the missing pad materials in the calipers. The brake rotor utilizes the pressure created by the system of brake for stopping the car. For this, it uses heat and friction and generates momentum to stop power. The brake pads hold the rotor in place by riding on both sides of the rotor. Rotors are used in front wheels which are mostly used for stopping your car. Hence, the rotors and pads have less longevity than the rear brake. 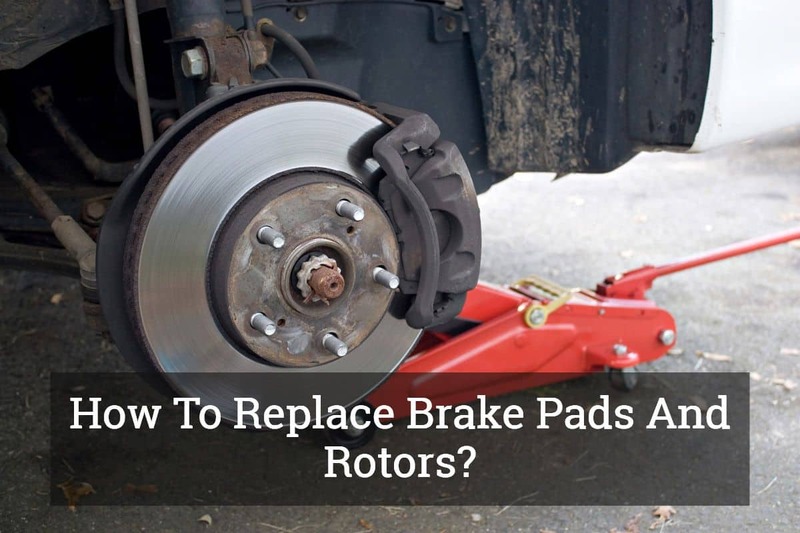 Whereas their repairing in a garage costs $159 to $450, you can do it yourself by purchasing the rotors and pads for $ 140. Here is how you can do it. Brake Rotors are either ventilated or solid and the thickness is to be maintained to its minimum. If the thickness goes below the minimum, instead of resurfacing, it should be replaced; otherwise, it may cause shaking of the driving wheel while applying the brakes. The rotor is designed to hold a definite quantum of heat which goes down with constant wearing. The overheating of rotors may crystallize the metal part of the rotor, thus creating a rattling sound while applying the brakes. The bearing hub holds the brake rotors by means of mounting screws or clips, fitted on the stud of the wheel. The first step is removing the screws by an impact screw driver and the sheet metal screws by a cutter. If the rotor is stuck because of rusting, hammer it to loosen a bit. After removing the existing rotor, match the same with the new one and check the O.D, mounting offset and the location of the wheel stud. By using a soft towel, wipe off the grease and dirt from the mounting surface of the hub of the bearing. After aligning the rotor mounting screws and the wheel studs, put the rotor on the bearing hub. It should sit perfectly on the bearing hub. Tighten them for installing on the mounting screws. But don’t tighten it excessively. Because of these slides, the caliper floats, being bolted to the mounting bracket which in turn makes the brake pads to wear evenly. If one caliper slide gets rusted, it may get stuck and may cause excessive wearing of the other pad. Pull the slides outward by grasping the slides to make it come freely out of the bracket. If they are stuck, make use of a pair of pliers and vice. Make them move backward and forward to loosen and pull them out. Clean all corrosion and dust from the slides by using a soft towel. You can also use a brush made of wire. Then, lubricate both the slides with silicone lube and put them back to their original position on the same hole from which they have been pulled out. Install the slides into the mounting bracket by twisting it so as to make them move freely, otherwise, they may wear out easily and cause grooves on them. These grooves can make the caliper come to a hanging position. This will lead to uneven wearing of brake pads. Brake pad components may be semi-metallic, organic or ceramic. They have different wearing characteristics. 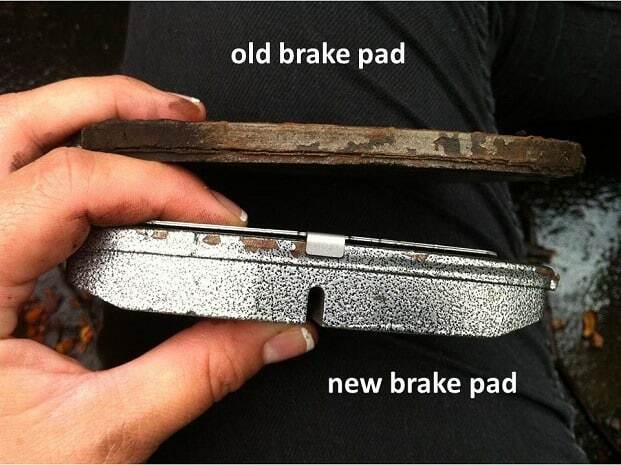 Before installing a new pad, match it with the old ones to ensure that the backing plate of the brake pad is identical. Some original pads come with rattle clips. If the new pads do not have, transfer the older ones to the new ones. Otherwise, they will create clicking or popping sound when the brake is applied. Install the caliper slides over the brake pads. Ensure that the piston is entirely retracted into the caliper. Push the slides into the mounting bracket and tighten the bolts, one after the other. After opening the hood, locate the master cylinder and add best brake fluid to its full level. 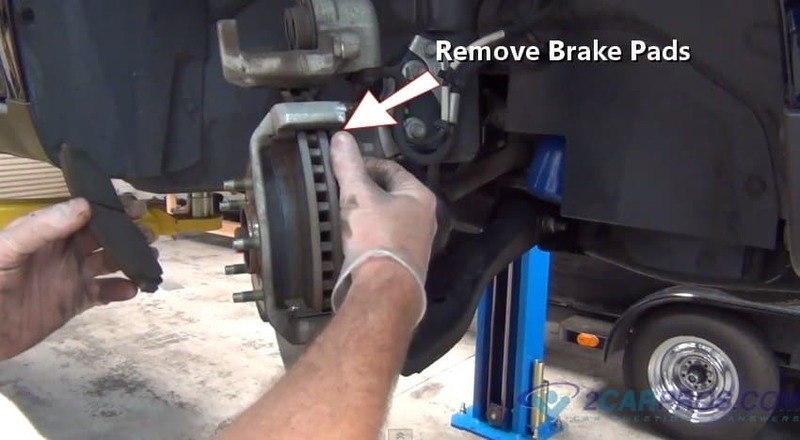 After completing the brake service, recheck the operation of the brake pedal. Push the brake pedal downward, slowly and allow it to touch the floor and allow it to come back up slowly. Don’t pump the brake quickly. After performing this cycle five to seven times, ensure that the brake pedal has the normal pressure. To check that the brake pads have mated to the rotor, take your car for a test drive and apply the brake gently while making easy stops. Release the pedal momentarily and apply it once again while stopping. If you have a vehicle that tows a trailer, installation of a brake controller will ensure utmost safety to the towing and the towed vehicle. It is an OEM device which is installed on the dash board of the towing vehicle and makes use of an electronic braking system. When the towing vehicle applies the brake, a message is automatically conveyed to the braking system of the towed vehicle that it must stop. The brake controller comes with two distinct features; Delayed-time or Proportional to the braking engagement while it is the process of slowing down or until it comes to complete stop. Since you are driving under different conditions, it is essential that the LED display clearly and immediately catches your eyes, even under sunlight. Besides having the ease of mounting and un-mounting on several trailers, it should be easily stored while not in use. According to the viscosity, the brake fluids are categorized by the Department of Transportation to three classes, namely DOT 3, DOT 4 and DOT 5. 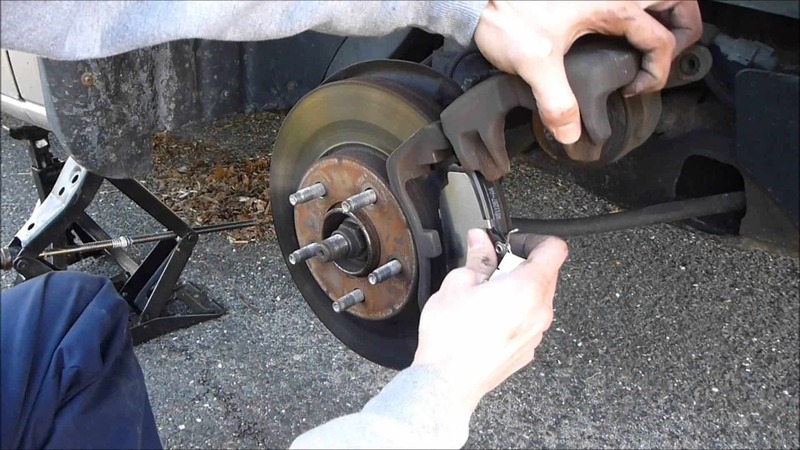 Replacing the brake pads and rotors is cheaper if you do it yourself (DIY). The brake controller is a must if your vehicle is towing a trailer. You should choose the brake fluid according to your budget and need.